As the level of difficulty of mining is continuously increased and hence the power consumption rate increase worldwide, resulting in deceased in mining profits. The Golden Goose is a project led by the Commons Foundation and supported by the Paraguayan government. Paraguay operates Itaipu Hydroelectric Power Plant which is the largest operational hydroelectric energy producer in the world. Only 10 to 20 percent of electricity produced at Itaipu hydroelectric plant consumed in Paraguay and more than 80 percent is exported overseas at low prices. We want to maximize net profit by establishing the world&apos;s largest mining center using clean and cheap electric energy through the full support of the Paraguay. a business model that can create added values. 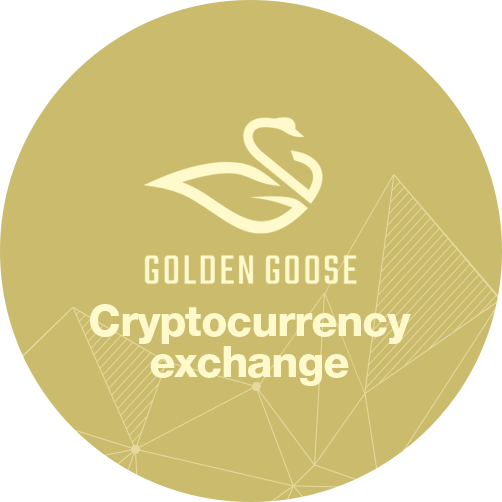 We are planning to launch a global exchange to maximize the profitability of the participants, along with the added values created by the Golden Goose mining center. Golden Goose&apos;s global exchange is preparing for a collaboration with the world&apos;s top 10 exchanges and is scheduled to open in the second half of 2019. 70% of exchange profits will be paid to the participants on a daily basis, and along with the South American region, we intend to create a blockchain ecosystem in Spanish speaking countries and to develop a global blockchain environment newly. Any information and schedule for Golden Goose token distribution will be announced only by the official website. Do not participate the token distribution via non-official websites except this page or the official website (https://goldengoose.farm). the foundation will not be responsible for any losses and troubles. Golden Goose(GOLD) is a digital asset and not just a tradable cryptocurrency. It is designed for receiving mining profits if you hold the GOLD. in MicroBitcoin(MBC) according to daily % of a staked GOLD. Cryptocurrency is not a legal tender, and certain entities do not guarantee its values. Cryptocurrency is traded around the world for 24/7, 365 days and it can be exposed to rapid fluctuations in the market due to increases in speculative demand and changes in domestic and overseas regulatory environment. Investment decision on cryptocurrencies and possible losses from the investment are responsibility of the Participant. The Foundation shall not guarantee or warrant any of the GOLD&apos;s value, price, or mining profits. The Foundation shall not solicit to invest in GOLD. Responsibilities of participation in the GOLD distribution, and investment and losses belong to the Participant. The progress of the GOLD may will be updated irregularly in accordance with the Whitepaper to be published later and its amendment and review. The Participant shall follow, read and understand the Whitepaper after its publishing. GOLD shall not be construed, interpreted, categorized, or treated as an opportunity to participate in, or to receive investment returns, revenues, payments, profits or any portion thereof in accordance with the mining centers and the exchanges to be established subsequently. The information contained in this website has not been reviewed, inspected or approved by the regulatory authority, and such these actions have not been and will not be taken in any Jurisdiction. In this website, the specific expressions which contain predictive statements and figures about the future, forecast of the GOLD project, are not based on historical facts and are identified by a similar expression to words such as estimation, belief, expectation, prospect and anticipation. Thus, the predicted figures and statements do not guarantee the future results or performances of the Foundation and its affiliates, and these contain various risks and uncertainties, and shall not be relied upon or interpreted as a guarantee or promise.